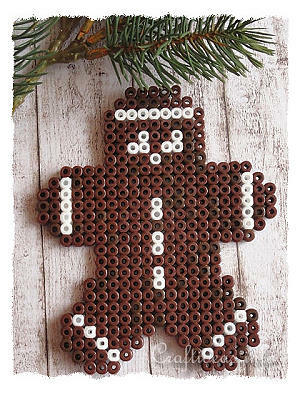 Creating figures with fuse beads is lots of fun for the kids and keeps their little hands busy for quite some time. 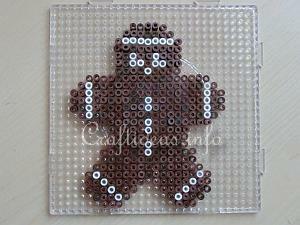 Here a gingerbread man pattern was created for a 30 x 30 peg square board so no extra gingerbread man fuse beads shaped plate is needed. * It is highly recommended that parents or supervisors iron the beads for the kids to prevent injuries or burns. 1. 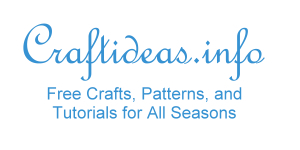 Print out the pattern either to a size of choice or to a size that can be placed under the clear board so that the pattern matches the pegs. That helps make it easier for the child to see where to place the pegs if the child is having problems with the pegs. 2. 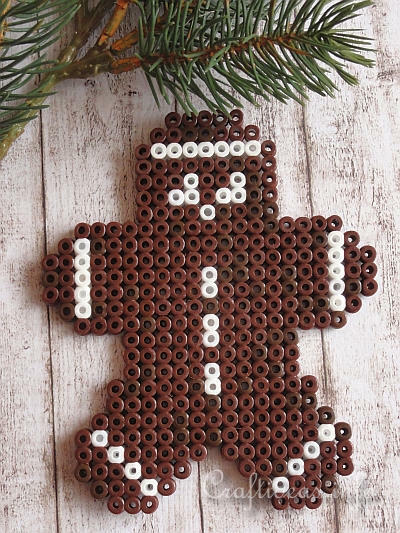 Follow the pattern and create the gingerbread man. 3. Once the project is finished, parents or supervisors should take over. 4. Set the iron to the recommended setting from the manufacturer of the beads. 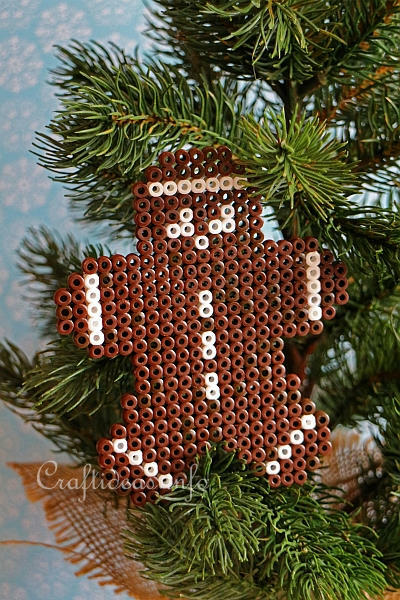 Place a sheet of baking paper over the beads and then iron and fuse the beads together. 5. Let the beads cool and the remove the paper. If you like, turn the figure over and place it in a piece of folded baking paper and iron from the backside for a very short time. This fuses the figure slightly from the other side and helps make it sturdier.